The design and decor of a patio or terrace doesn't have to be complex or sophisticated for us to feel at ease on it. 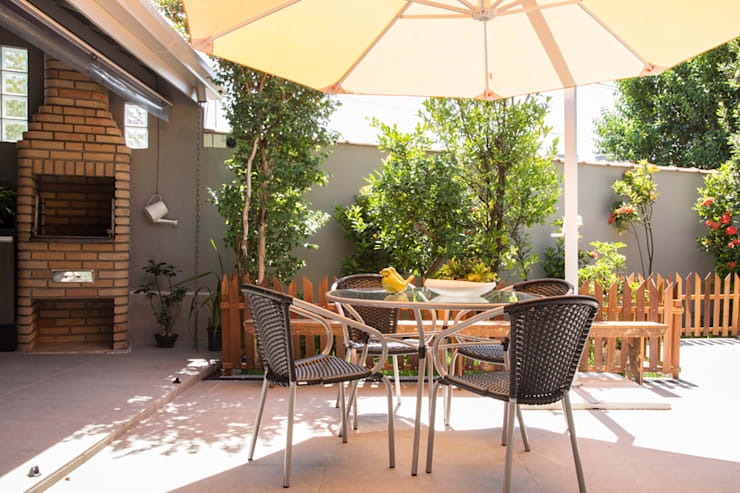 In fact a simple, well-organised terrace where everything has its own place will always make for a pleasant outdoor area. 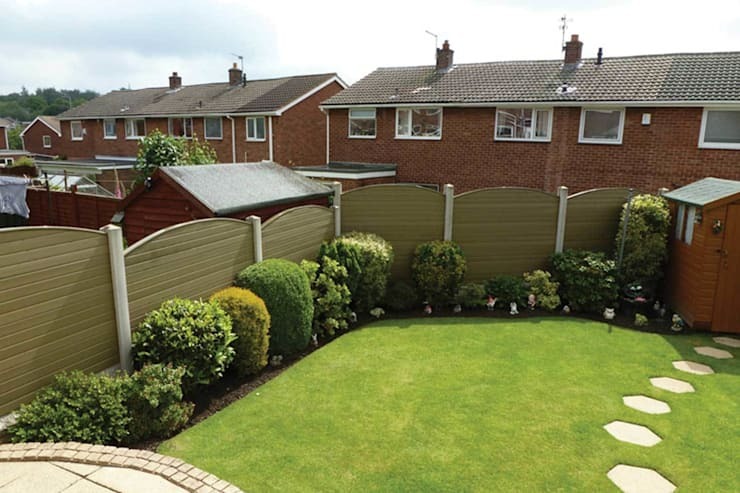 Beyond the dimensions of a garden or outdoor space, there are standard designs that are capable of satisfying a wide range of styles, needs and desires. These are simple but very effective. This is why today homify, we have put together a range of 10 beautiful yet practical and simple patios and terraces, designed by a range of top professionals. These will fill your head with incredible ideas, which you can implement in your house today! 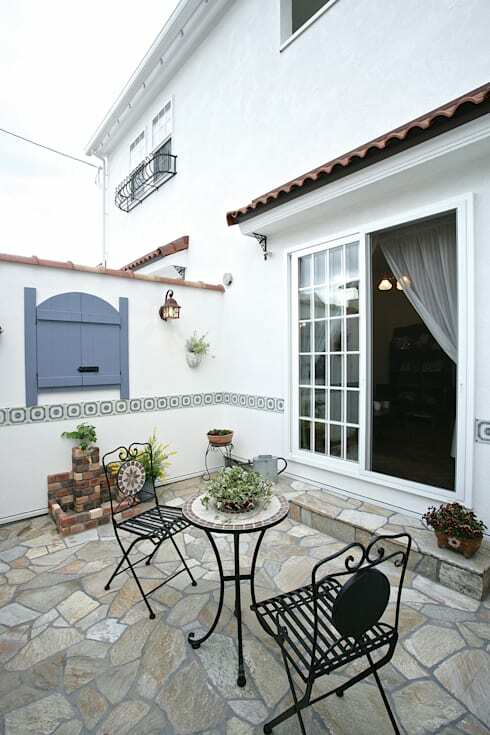 This simple patio features a stone floor and wrought-iron furniture, giving this space a distinct colonial design. The little details, such as the vase of flowers or the wall tiles, are the cherry on top! If you are going to build a deck, you may want to do something a bit different. Leave some spaces where you can plant trees or palms, giving this area some shade. If you want a simple and neat terrace or patio, but you also enjoy decorative plants then implement them along the perimetre of your garden. 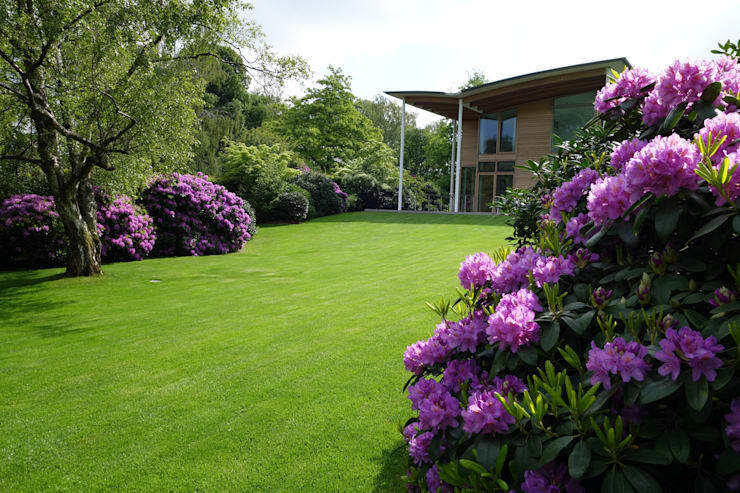 Choose different shades of shrubs as well as a variety of heights and shapes for a gorgeous look and feel. Don't be afraid to add some colour to your outdoor area like these designers have done. Opt for colour clay pots or some vibrant cushions or furniture. 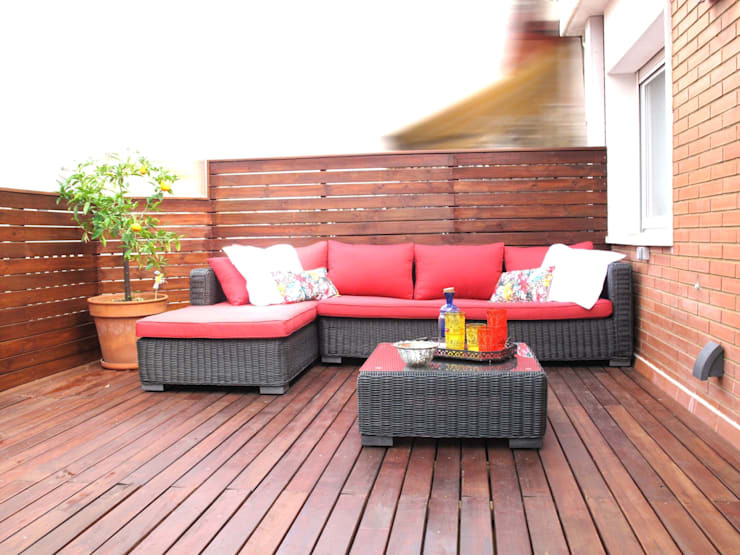 Tip: Opt for durable furniture that will last in all weather conditions. A patio or terrace should feature flowers that bloom all year round. This will set the tone for a permanently beautiful outdoor space. Remember that the wonder of nature is more than enough in terms of decor and design. Speak to your local nursery about what flowers are best for the South African climate. 6. A jungle corner: palm trees! Include palm trees in the corner of your garden and your outdoor area will instantly be transformed into a tropical haven! Treat yourself to a patio that features the latest in landscaping trends. 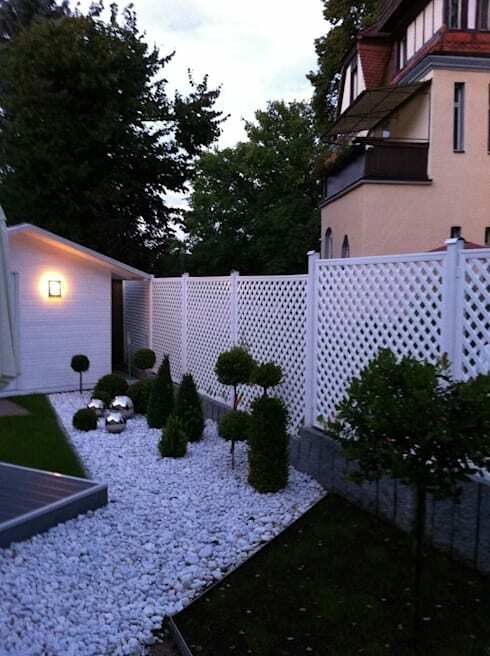 White stones like we see in this image are very economical and easy to maintain. They also create a very edgy look and feel. 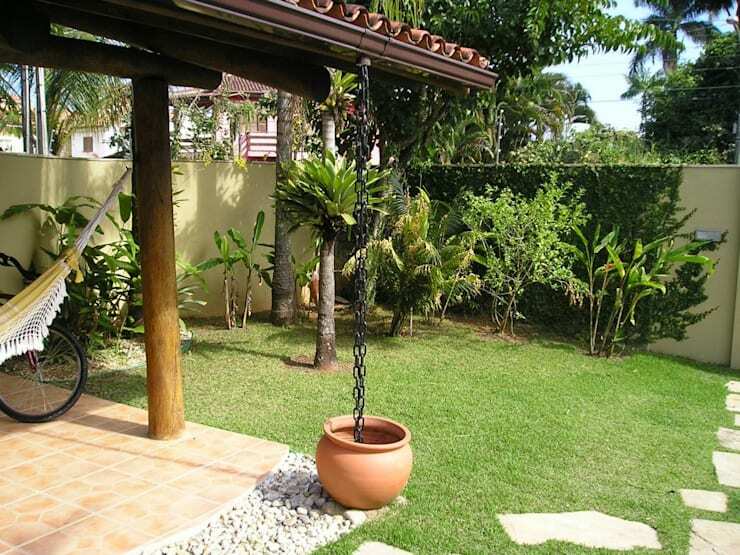 You don't have to complicate the outdoor area with all sorts of objects and items. 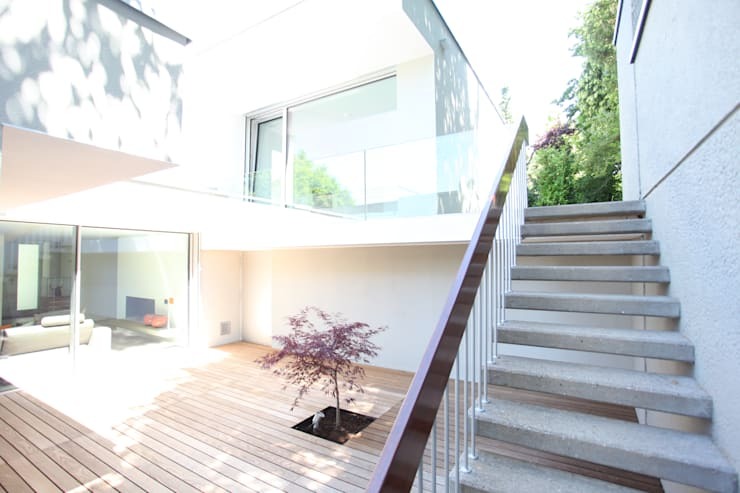 Use your functional features to bring beauty and style to the exterior of the home. The trick when it comes to your garden is to make sure you have a gorgeous path through it. This doesn't have to be very expensive but can have a beautiful end result. 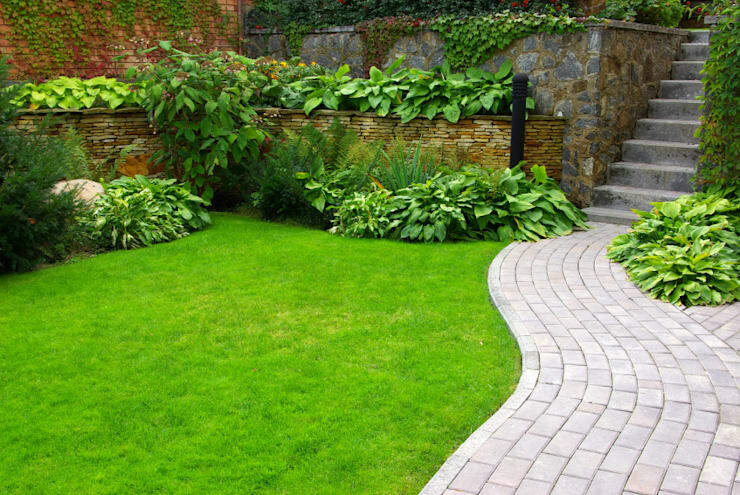 Have a look at this article for inspiration: Step forward to a great new garden path. You don't want to overwhelm your outdoor area with too many flowers, plants and trees especially if it is small. Go for a few carefully selected trees and plants rather than too many. If you've enjoyed this article, you'll love this one too: How to create a beautiful garden in a small space. 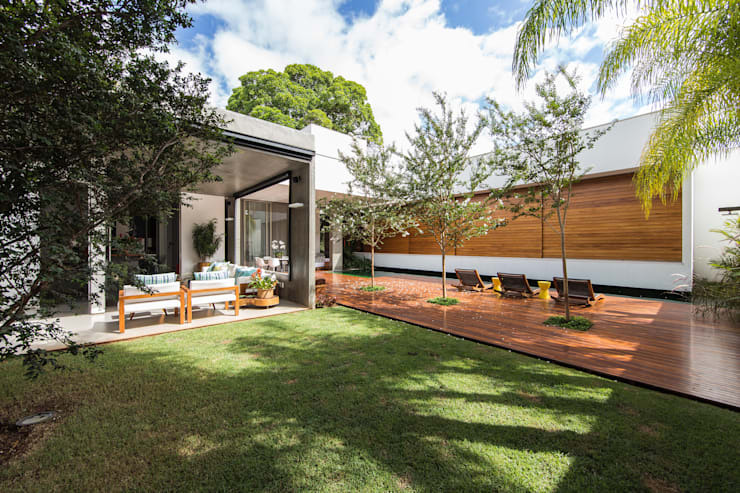 Also have a look at these 7 beautiful patios for small houses. Which patio would you choose for your home?